As part of your legal marketing, it is very beneficial if you can offer testimonials, and great if you have good on-line reviews. However, what follows is a cautionary tale of why attorneys must avoid the temptation of creating their own reviews. My primary practice area is free speech and defamation, and I receive a lot of phone calls from potential customers, wanting to sue for false reviews on Yelp. Most Yelp users probably realize that there is a great deal of self-promotion going on, but I don’t think most know that Yelp is replete with false negative reviews. On more than one occasion, when we tracked down the IP address of the person posting false negative reviews about a business client, we found that it was a competing business. In one case our client was a dentist, who suddenly received several terrible reviews. It turned out the culprit was another nearby dentist, who had an employee whose job duties included creating false Yelp identities in order to post false positive reviews about his employer, as well as false negative reviews about the local competitors. Against this backdrop, it is not hard to imagine that business owners, including attorneys, might be frustrated enough to be tempted to level the playing field a little by posting a few positive reviews about their own businesses. 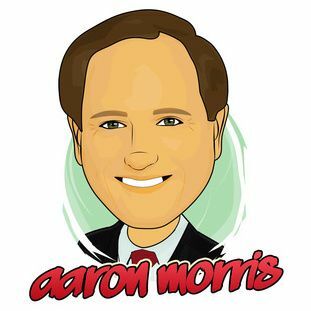 Positive Yelp reviews for attorneys could certainly generate more clients. Yelp itself doesn’t appear to be doing much to curb that temptation. I get probably two calls a month from potential clients, complaining that after they refused to subscribe to Yelp’s services, Yelp responded by removing most or all of their positive reviews. If true, then Yelp cannot seriously contend that it is interested in the integrity of its reviews. But despite all of this, honesty remains the best policy, as evidenced by a recent action by Yelp against a law firm that allegedly gave into the temptation to post its own reviews. In this case, a small San Diego law firm, the McMillan Law Group, subscribed to Yelp’s services, allegedly based on representations that were made about the number of page views it would receive. When the results fell below what the McMillan Law Group says was promised, it demanded a refund. Yelp balked, and the law firm sued in small claims court. 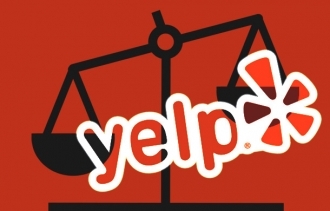 The firm prevailed, and obtained a $2,700 judgment against Yelp. [UPDATE — November 25, 2013] Round one goes to the McMillan Law Group. The lawsuit appears to be primarily for harassment purposes as opposed to any real desire by Yelp to preserve the integrity of its reviews, and to that end Yelp brought the action in San Francisco, even though venue appears to be in San Diego. Today, the judge in San Francisco agreed, and ordered Yelp’s attorney to pay McMillan nearly $5,000 in attorney fees for the motion the law firm had to bring to get the matter transferred to San Diego. A detailed discussion of the motion can be found here. [UPDATE — May 14, 2014] Yelp finally moved the action to San Diego, and (after serving frivolous objections to all the discovery that McMillan propounded) it was served with an anti-SLAPP motion by McMillan. I was provided with copies of all court documents, and provide my thoughts on the action and the anti-SLAPP motion on the California SLAPP Law Podcast. Tags: False Advertising, McMillan Law Group, On-line Reviews, Yelp.